Updated Friday June 1, 2018 by Frank Zardezed. 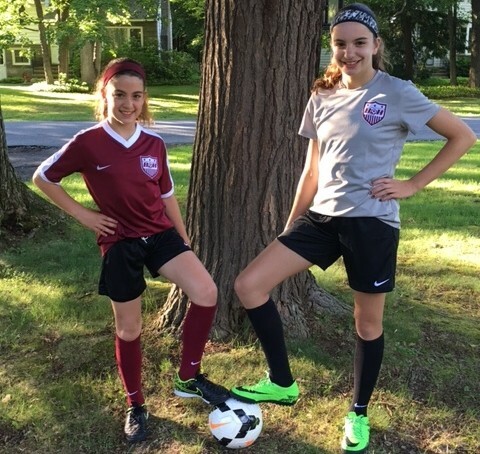 FIFTY Football Club was formed between the merger of Burnt Hills United and Highland Soccer Club. It is a local, volunteer run, not for profit organization serving the youth of our community. The purpose of the club is to operate both a noncompetitive REC and a competitive travel soccer program. FIFTY F.C. has the privilege of providing our young athletes with the opportunity to build a foundation of respect and dedication to the sport of soccer. The clubs goal it that our players learn the values of hard work, respect, honesty, dedication to team, self-control and sportsmanship all while building a positive self-esteem. Player assessments for the travel teams will be held in late June and early July. Younger teams are formed in August. Older teams are formed in October. The outdoor fall travel season begins in early September and runs through October. Indoor practices and games start in November and run through April. The spring travel season begins in late April and runs through June. U8 Coed Teams (Birth Year: 2011, 2012, 2013) - Our U8 level is intended to teach the basics of the game in a fun and friendly environment. The U8 age group does not play travel in the fall. Teams will train once a week. Parents have the option to participate in competitive indoor games through the winter and outdoor games in the spring. Indoor games are played at the Sportsplex of Halfmoon. U18 Boys and U18 Girls (Birth Years 2001, 2002) - At these levels our players want to play competitively and are committed to bringing their skills to the next level. The U14 – U18 age groups do not play travel in the fall since most players are on school teams. It is expected players will participate in both practices and games. Teams will be formed based on skill. Team roster sizes are limited to 22 players. We typically only field 1 team at these levels. Please note on-line registration is for assessments only. Travel teams are formed in August.